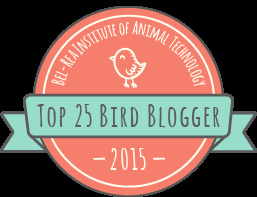 March is an interesting time for watching birds molt their feathers from winter to "breeding" plumage. 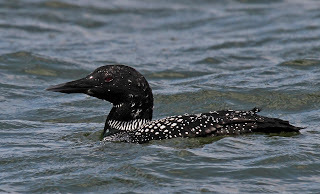 The best example that I can show you today is with Common Loons. Here are photos of a few different Loons taken on our trip this week. It is like one of them just doesn't want to go north while another is trying hard and yet another is almost ready. Click on the photos to enlarge them. Still dressed in winter feathers. Dull as dull can be. 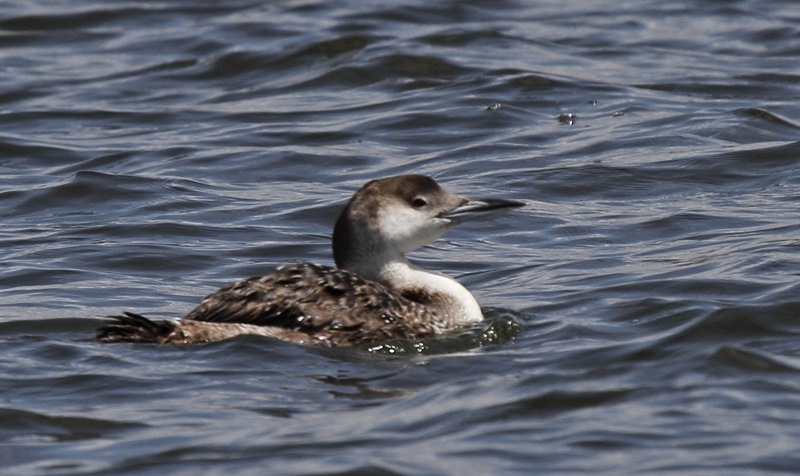 This bird is really in the middle between winter and summer. He is getting that "checkerboard" back but still doesn't have the black head or "necklace". Almost ready to head north for summer with the necklace and checkerboard. He is just waiting for a few more feathers to turn black on his head. 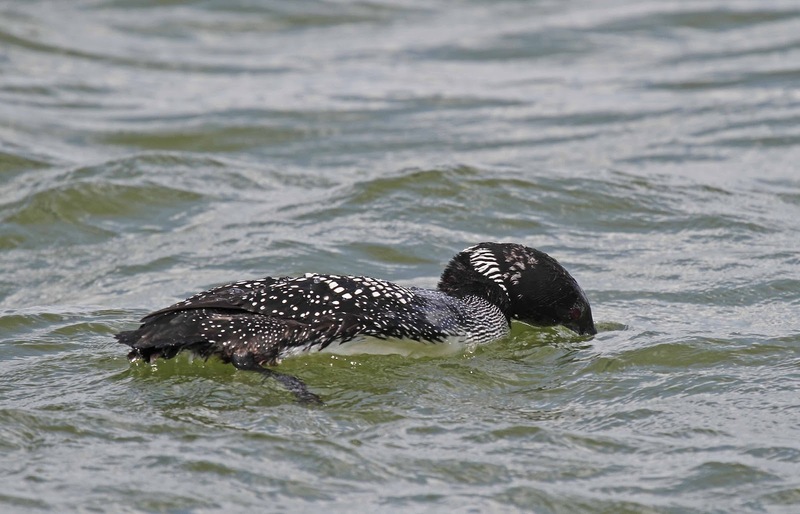 The famous "snorkeling" posture where the loon looks underwater before diving. 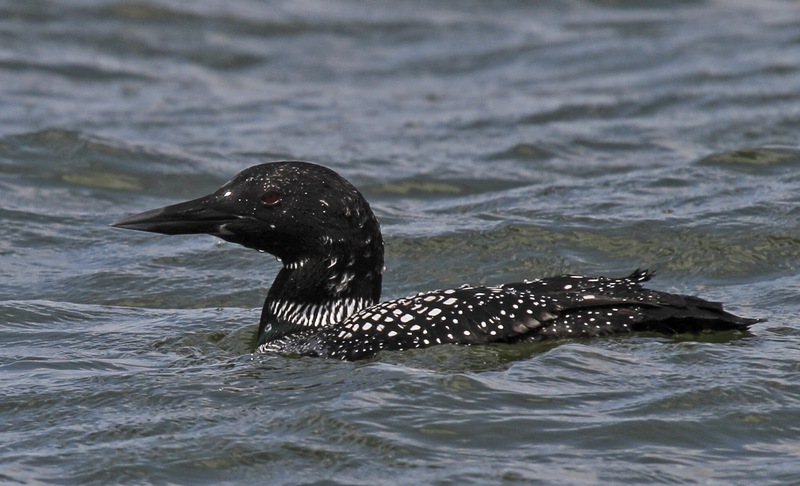 It was really amazing how tame this last loon was. He just floated around while Di positioned the boat between him and sun so that I could get decent photos. 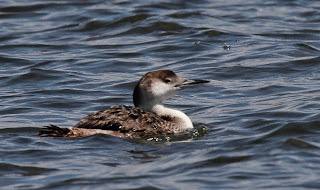 This bird was truly content even though we were only 20 - 30 yards away from him. It makes me wonder if he summers on a pond that has lots of people and boats like his winter home in Charlotte Harbor FL. I wonder where these birds go for the summer home. Maine? Canada? Minnesota? Upstate NY? Where ever they go, they will be a real treat for anyone who is lucky enough to see them in their summer finest. Loved this series. Wish we had some on our brook. 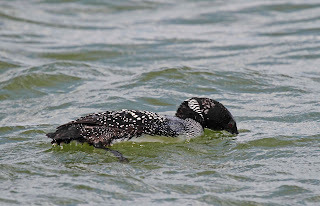 I found your post looking for a photo of a loon in winter plumage to send to my niece who thought she may have seen one in NY (they winter in the ocean). 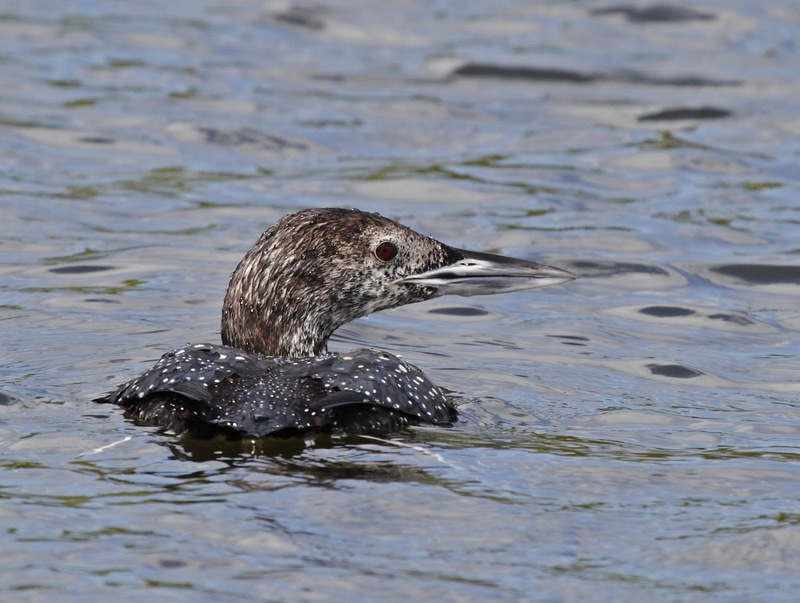 I'm one of those lucky people who live on a small lake in NH; last year we had 6 loons. There is nothing like the first sighting and the first call!